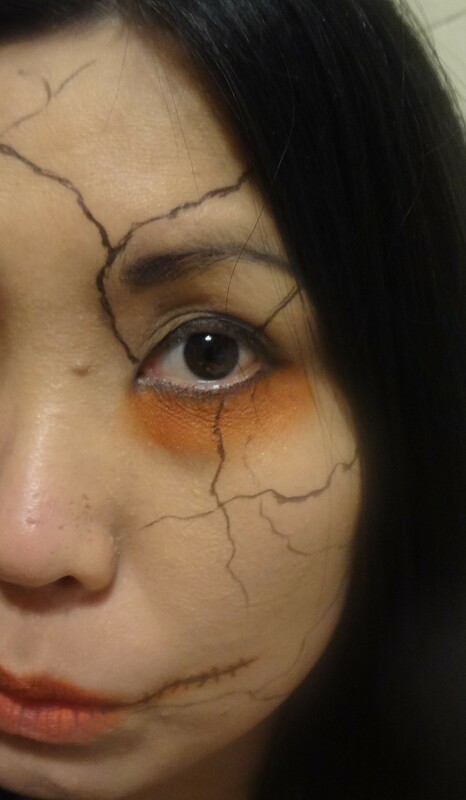 Cracked Face! Halloween Makeup Look!!! Hey guys! We’re always trying to find our next best Halloween costume. 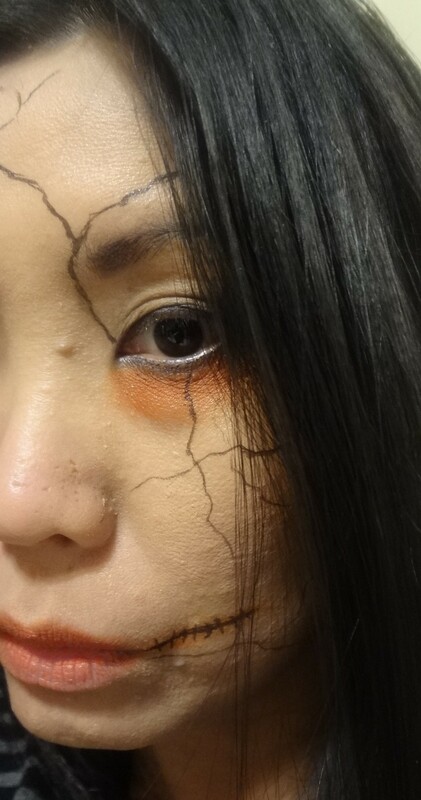 If you’re wanting to try something different this halloween like myself then please scroll down more to see how I did my cracked face makeup idea. Halloween is just few days away and I thought what better time to do this halloween makeup look. I did this look because I’m excited for halloween day. So, this is just my idea to bringing up my halloween makeup to the next level. For this look. I wear a Rimmel Stay Matte Foundation in True Beige 203. The color is pale enough for this look. Then I proceeded to draw a thicker eyebrow and liner using Bonnebelle eyeliner but I just draw it thicker for a bolder look. Next is the NYX shadow in Orange shade where I apply it underneath my eyes. 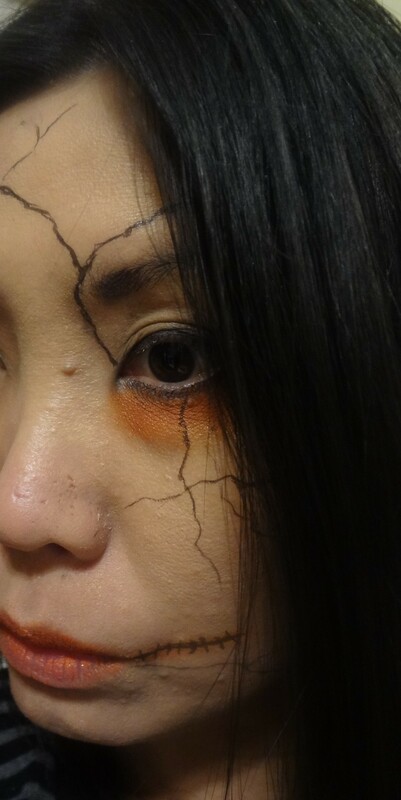 Last is using the Essence eyeliner and I create the pen lines all over my face and the scar. Lips, I wore the same orange eyeshadow by tapping it on. Hope you guys like this and find it interesting. Let me know what will you be wearing this Halloween?